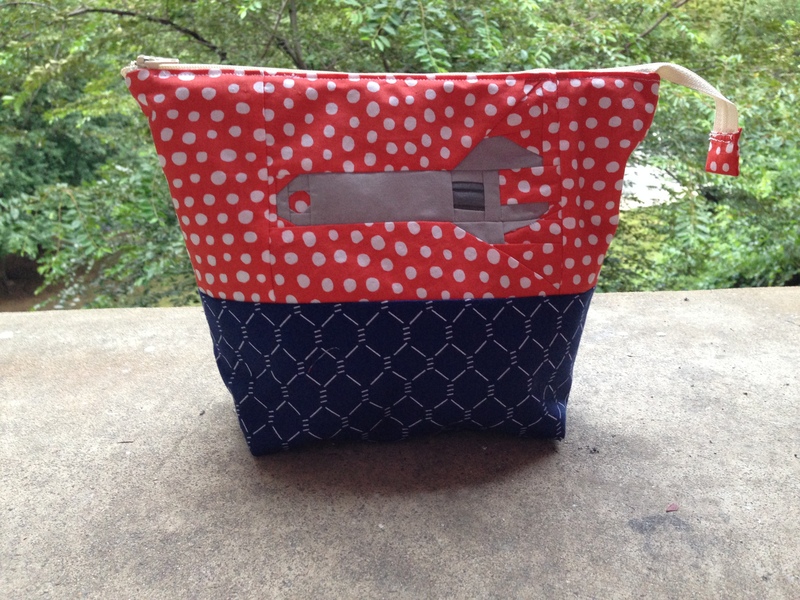 Last year, I posted about a wrench pouch I made for my dad. He travels a lot for work, so I thought it would be a fun way for him to feel closer to family while he’s on the road. Did you know I made the quilt block pattern available for FREE on Craftsy? You can download a copy here. (You’ll need to sign up for an account, but it’s free to sign up and the pattern is free to download.) You still have a week until Father’s Day this year if you want to make your own to gift to an amazing dad or handyman in your life! If you want to turn it into a pouch like I did, the pouch pattern is also free and is available here (from NoodleHead).